Welcome to the most terrible & dreadful Halloween scene you ever seen before. The captive angel waits for her torture. The flying pumpkin and walking demon are ready for execution. But the stake in the fire is not empty yet... Perfect 3D graphics, scary music with natural sounds. You will be amazed. Qweas is providing links to Terrible Halloween 3D Screensaver 1.0 as a courtesy, and makes no representations regarding Terrible Halloween 3D Screensaver or any other applications or any information related thereto. Any questions, complaints or claims regarding this application Terrible Halloween 3D Screensaver 1.0 must be directed to the appropriate software vendor. 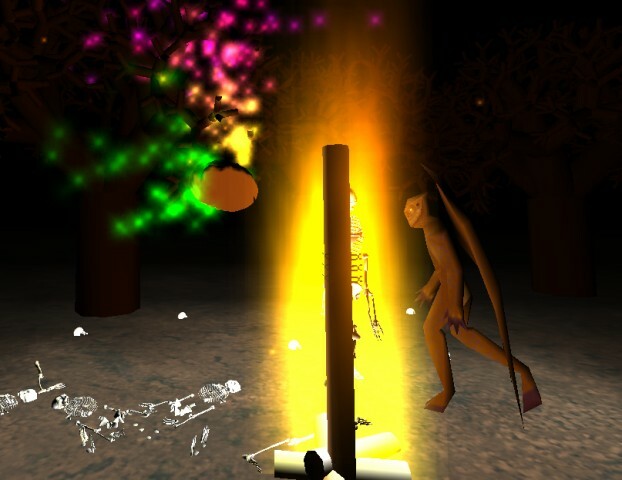 You may click the publisher link of Terrible Halloween 3D Screensaver on the top of this page to get more details about the vendor.